When being forced into an answer for Liverpool’s drastic deterioration in form, Jurgen Klopp points out the moment when Coutinho got injured in a home win against Sunderland keeping him out for six weeks as probably the one that changed their season around. 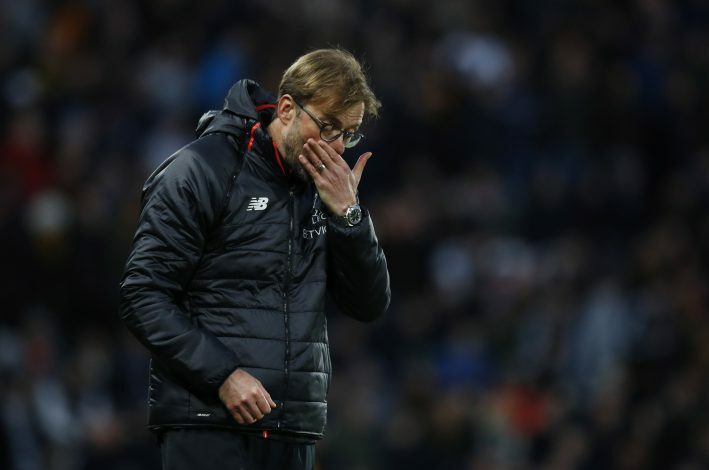 Jurgen Klopp has accepted mistakes and has taken the blame for poor recent results but has also kept misfortune as a factor that has heavily been overlooked by the critics. The manager faces Tottenham today and the team from London is the only one out of the two that is still in the title hunt, showing an astonishing turnaround of events over the past two months. “To finally judge this squad this season is only possible if you stay with Phil at the highest level because that is what Chelsea have.” Klopp was quoted by the Telegraph. Despite both Mane and Coutinho being present in Liverpool’s defeat to Hull last time out, it is fair to say both are yet to attain the Match fitness. On further talking to the Telegraph, Klopp added that his team are capable of ending the season on a high and are targeting 14 consecutive wins to qualify for the champions league. The optimism in his conference was in a good amount and he seems ready for the rest of the season which he made clear with his word: Let’s Go Again.